Below I describe a typical workflow you could use to find and delete all derivative files. Of course, you can do also other things to these files. 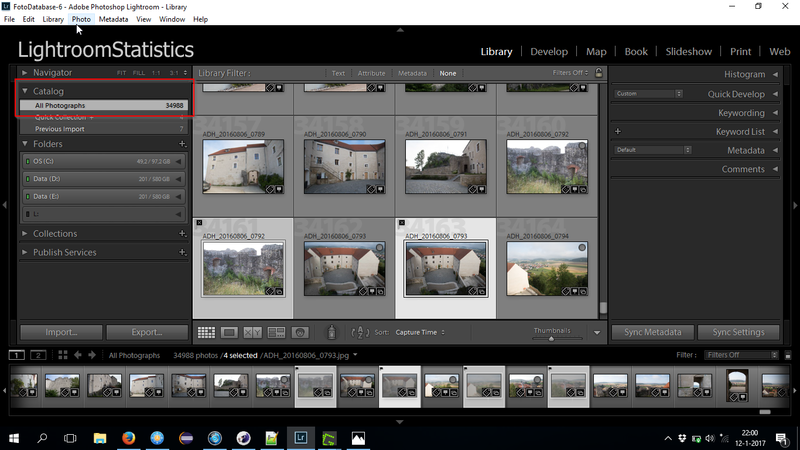 In this first step you select all original photos whose derivative file you want to find. 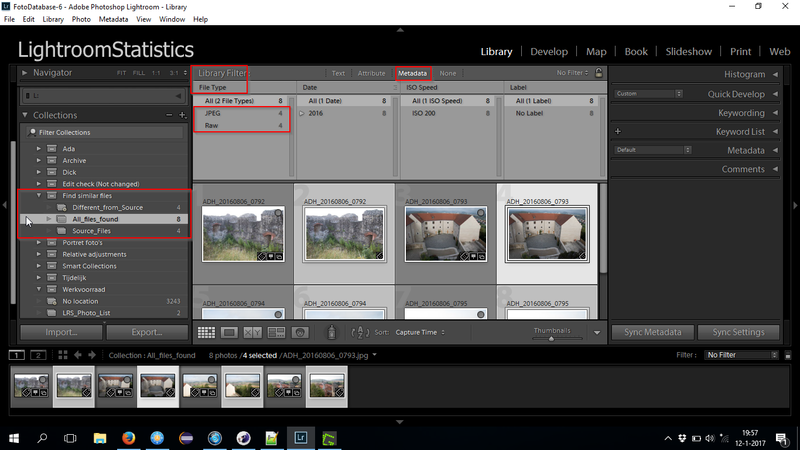 The Metadata filter can help to give you more information on these photos. 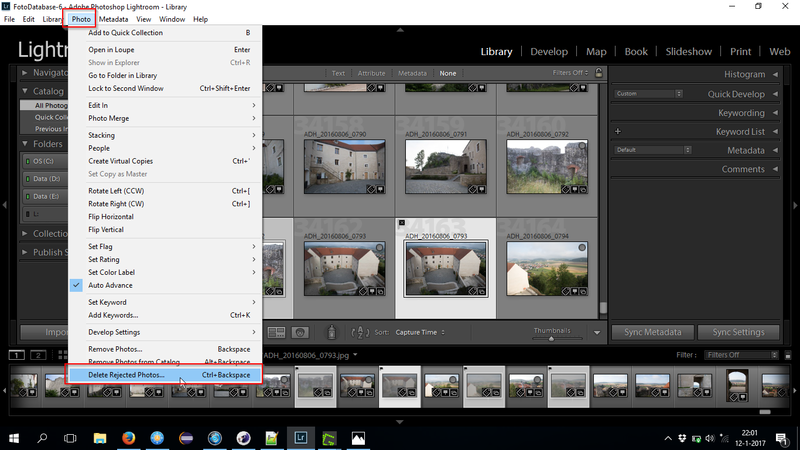 In this step you search for all photos in your Lightroom catalog which have a similar name as the originals you choose. 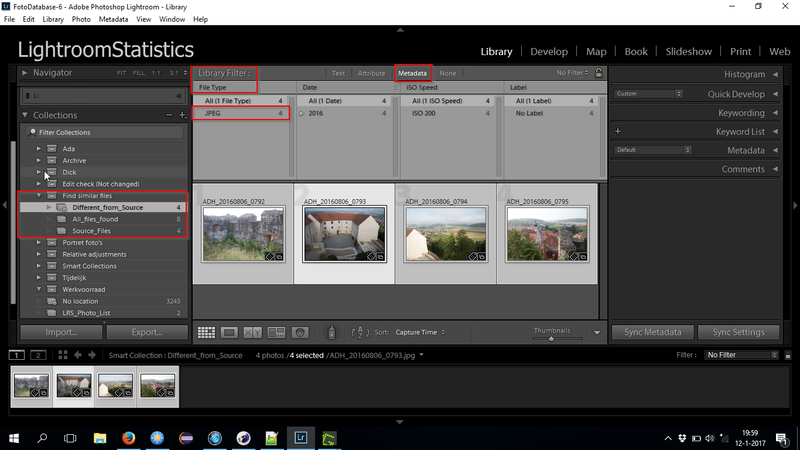 Menu => Library => Plug-in Extra => Find Similar File names => "Find similar file names". In this step you analyze all photos found. Again the metadata filter can help a lot. Apart from the first column "File type" you can choose for the other colums other information that can help. 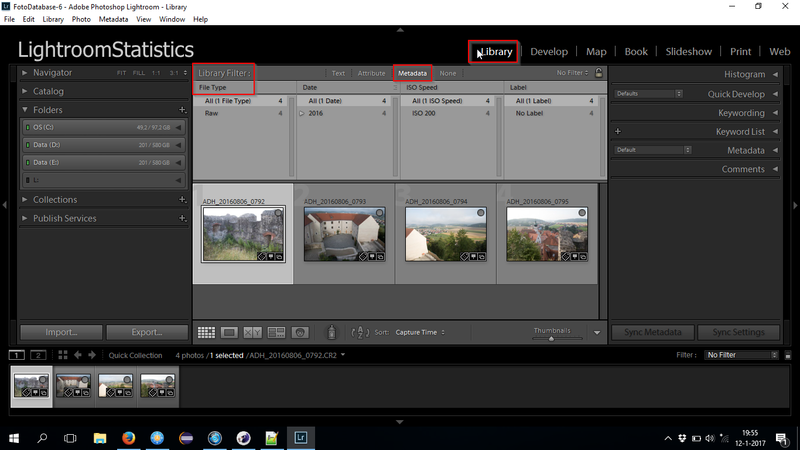 First the "All_files_found" contains all photos found, both the originals and the derivative. My this example it is easy to see that the derivative files are JPEG files. Most interesting of course are the photos in "Different_from_Source" collection for these contain the files you wanted to find. Review all photos you found and mark as "Rejected", by pressing the X key, all photos which you want to delete or remove from your Lightroom catalog. 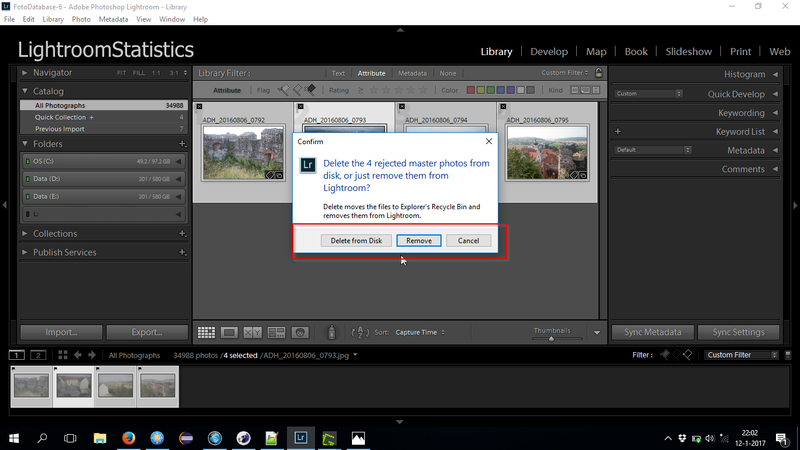 Step 5 - Deleting of photos marked as "Rejected"
In a Smart collection it is not possible to delete photos. For this we first go to "Catalog" panel and select the "All Photographs". Next we select "Delete all rejected photos" from the "Photo" menu. Now all "rejected" photos will appear, catalog wide! This gives you also the change to check whether other photos you previously marked as rejected should also be deleted or removed. And again use the "Metadata" filters to help you.